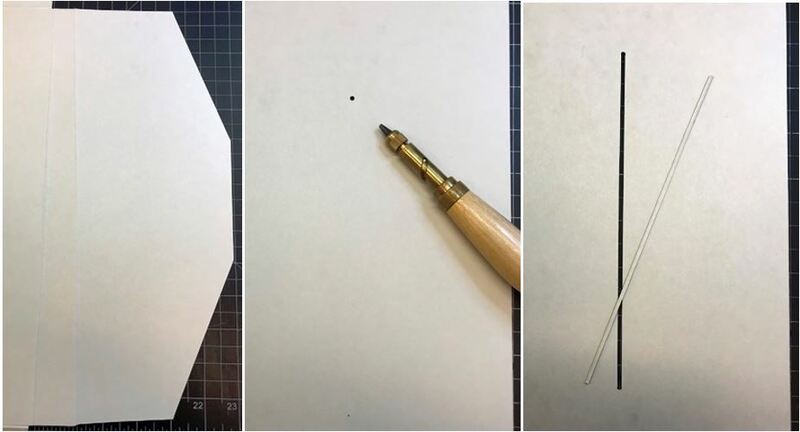 Most of the items received in the Libraries’ Book Conservation Lab require intervention which may consist of treatments such as removing rusted staples; mending torn paper; or reattaching spine coverings. 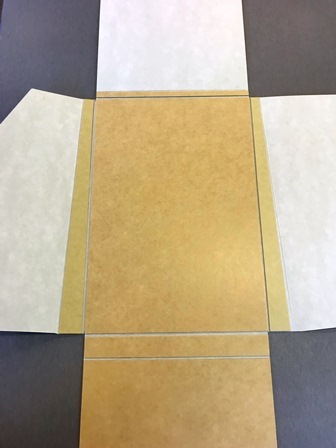 This active repair work often involves adding new thread, introducing new paper and adhesives, or replacing deteriorated cloth with a fresh piece that has been toned with acrylic paints. 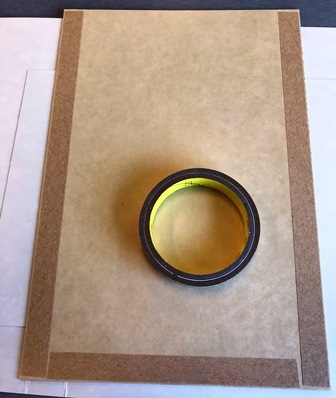 Items are minimally altered from their received condition and end up as a hybrid of original and new materials in order to keep them available to withstand continued use. 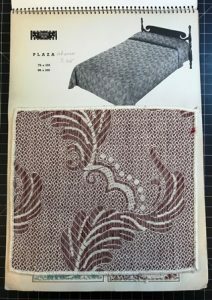 However, sometimes when an item is received in stable condition or is considered rare, a more passive treatment is appropriate that will help preserve it without altering its original state. 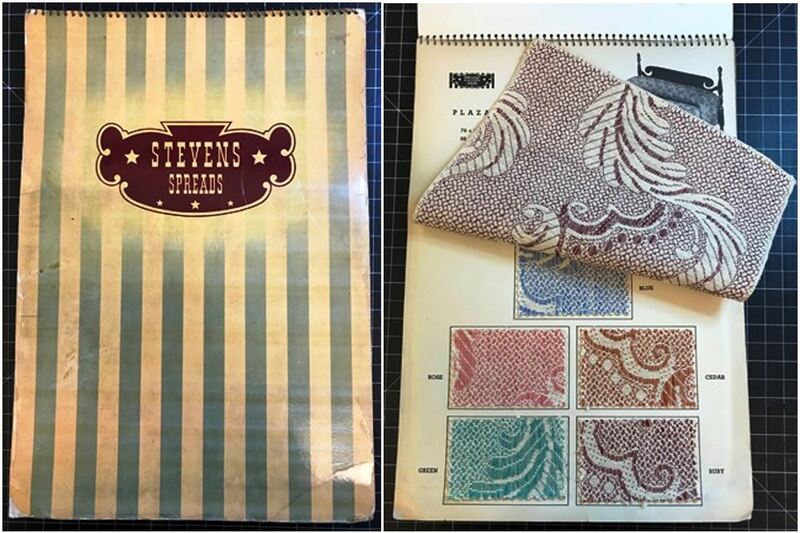 Recently, a bedspread and drapes catalog, produced by textile manufacturer J.P. Stevens & Co. in 1930, and entitled Stevens Spreads, arrived from our library branch at the Cooper Hewitt, Smithsonian Design Museum Library in New York. 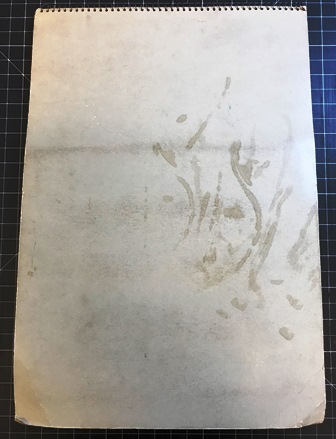 The catalog showed some minor wear such as peeling laminate; slightly dinged corners; and staining on the back cover, but, overall it had kept its original presentation. 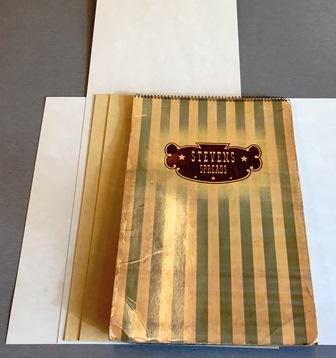 In order to preserve the catalog, a custom enclosure was requested that would protect it from further wear during shelf storage. 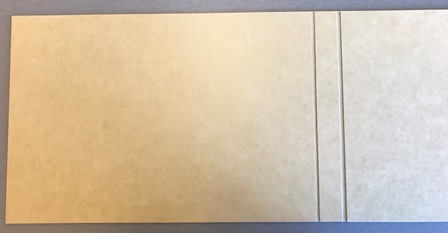 To create the enclosure, archival board was measured to conform to the height and width of the catalog. 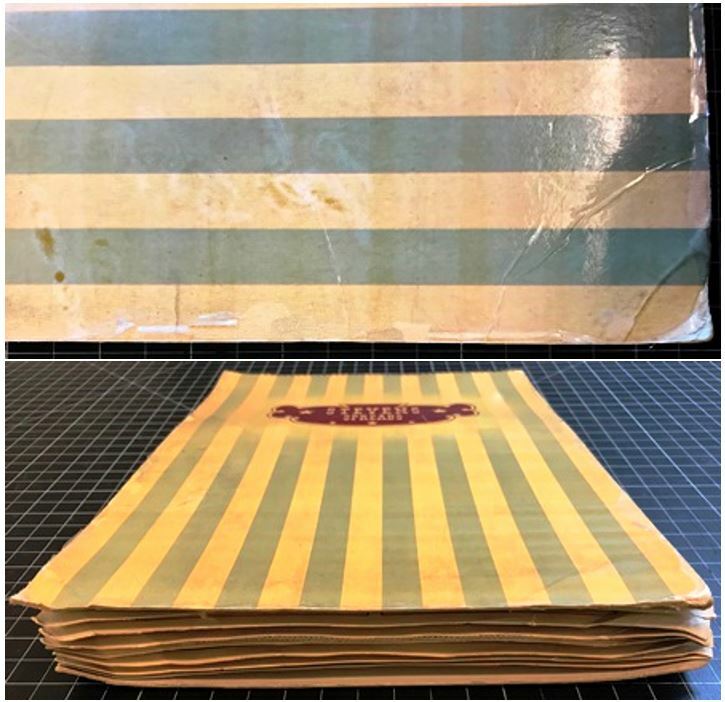 Next, the catalog’s wedge shape and thickness were considered, measured, and marked out on the boards and then creases were made with a large straight edge and bone folder. 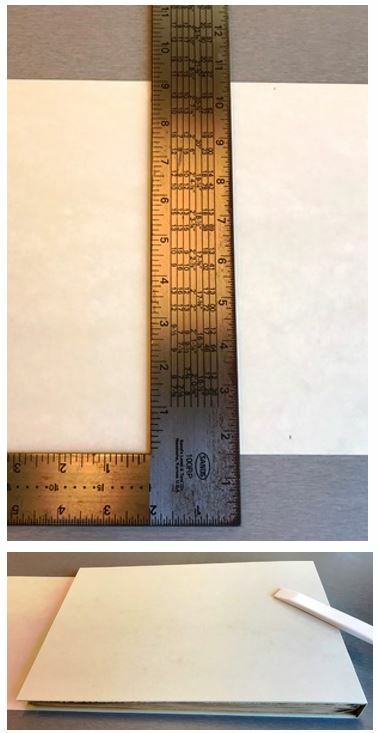 Double sided tape was used to adhere the board pieces together. 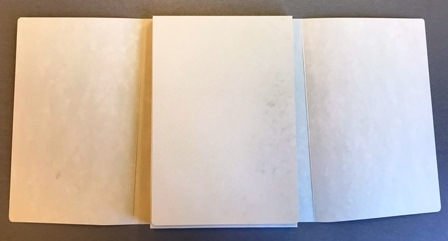 Additional board was trimmed and adhered to provide extra protection for the catalog’s head, tail, fore edge, and spine. 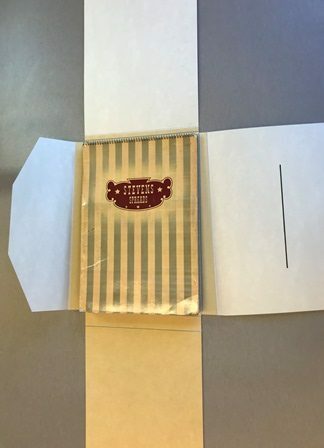 A tab and a slot were created to keep the wrapper closed securely. The catalog was fitted into the enclosure and then spine labels were created and adhered to the widest edge. Now preserved from further damage and remaining in its received condition, the catalog may be safely re-shelved and is accessible for future study.